Fruits of the past 2016 years First at all levels of cadres and workers of the joint efforts of the company obtained the rapid development of the various positions also emerged a large number of selfless dedication of outstanding employees. To sum up the past one year work, encourage the staff vigor, record, January 21, 2016 annual summary commendation meeting of First in Jinbei street offices held in the meeting room. 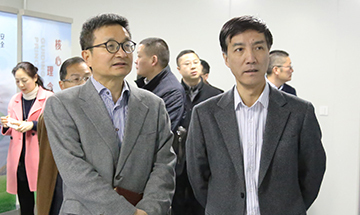 First BangjinWang chaired the meeting, general manager and in the church for the First 2016 annual work report. Report a brief review of the past year enterprise development and the work situation, clear work objectives and tasks in 2016. 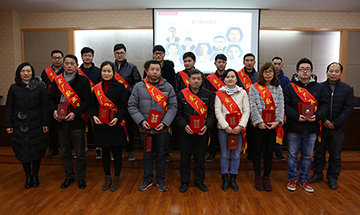 Recognition, won the company's 2016 annual advanced collectives and advanced team, 5 s advanced unit of the department, workshop, won the 2016 excellent employees, love factory employees work five years, ten years, technical innovation achievement award winners, party activists, "ankang cup" winning unit, a trade union activist accepted the honor. Excellent employee representatives, love dedicated staff on behalf of ten years successively in the church. First important speech the chairman Janhua Lin , his staff at all levels of the company thanked the hard and sweat to pay, and encourage everyone to continue to fight progress, for the enterprise future development. He hope everyone in the New Year for further attaches great importance to the safety work, attention to internal management, the innovation spirit, the New Year company will also increase investment and strengthen the construction of the management team. Believe that under the joint efforts of all staff, First will usher in a better tomorrow.